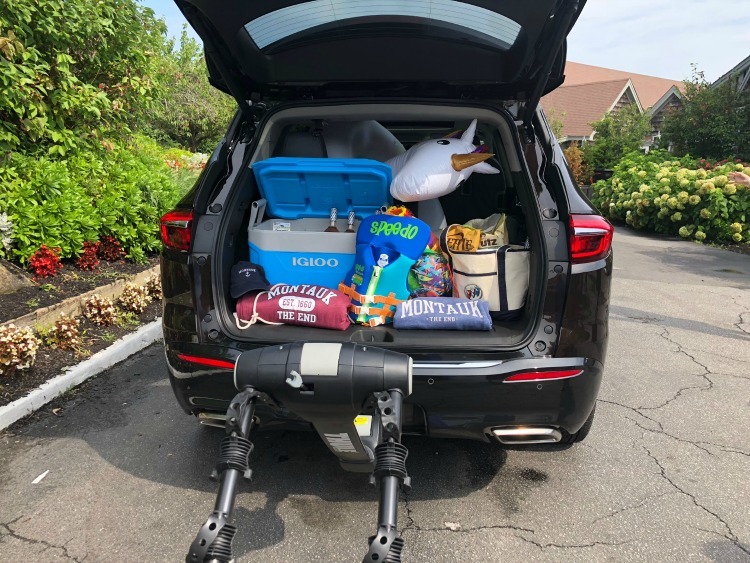 On a recent road trip from New York City to Montauk in the Hamptons, our Globetrotting Grandmom’s focus was lobster, laughs and luxury. Along for the adventure were three “sister-friends” as they cruised in a luxury family SUV for a much-needed escape from the city. Despite having lived in New York City for the past 11 years, until recently I had never been to Montauk. Often referred to as the “end of the road,” Montauk is as far east as you can go on Long Island. As the Hampton’s easternmost town, it’s a popular destination for city dwellers looking for an escape. 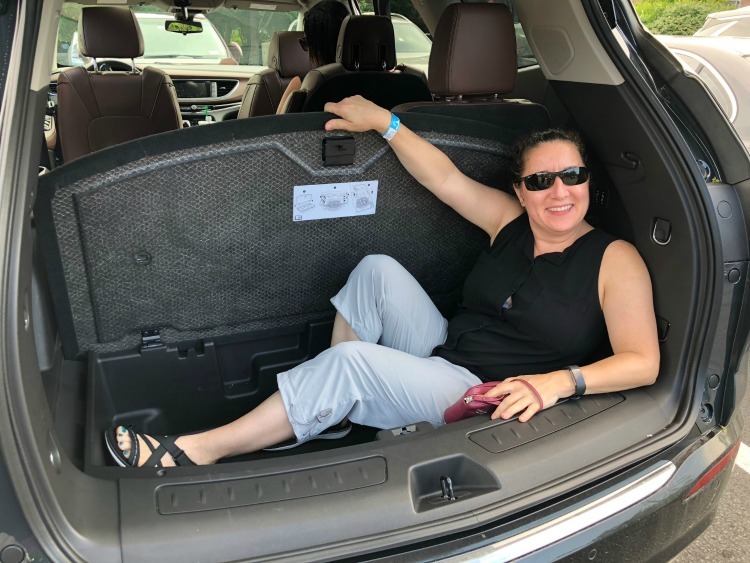 My visit was prompted by an invitation to test drive Buick’s newest luxury SUV, the all-new 2018 Enclave Avenir. It was a family-focused trip, but with my children and grandchildren living in Florida, I invited “sister friends” to join me. 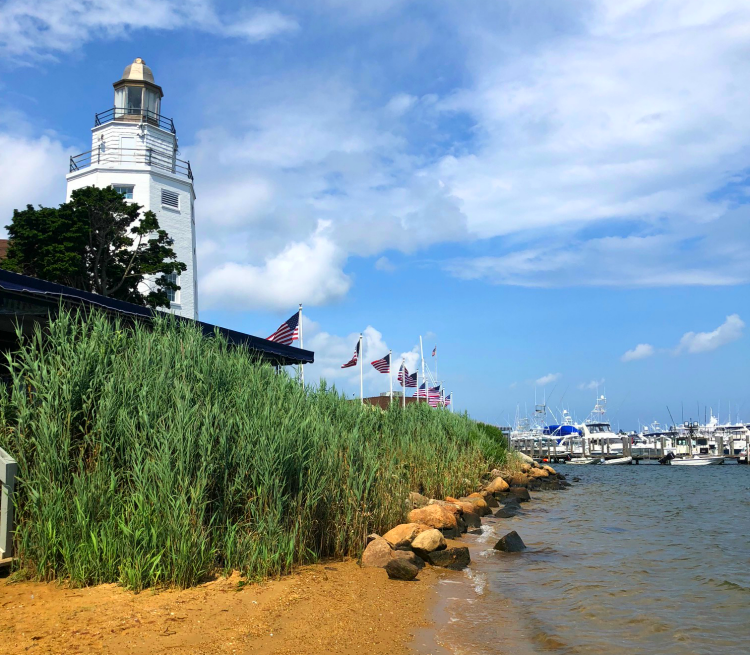 An invitation for a road-trip adventure combined with a stay at Gurney’s Montauk Yacht Club was a no-brainer for these New York ladies. More than happy to accept my invitation to escape the city for a few days, they set off with me in search of lobster, laughs, and luxury. 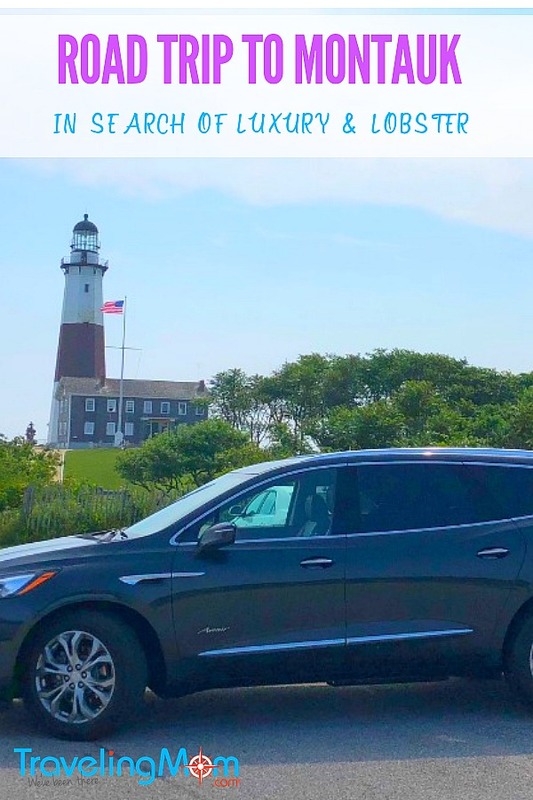 Making the rounds through New York City’s rush hour traffic to pick up my friends from their apartments, I especially appreciated the 2018 Enclave Avenir’s safety technology. With blind spot monitors, rear camera mirror, surround vision camera and ultrasonic sensors, I easily and safely navigated the often-harrowing city traffic. Our first stop (besides Starbucks of course!) was at the home of Kelly and Michele’s parents on Long Island. We were dropping off Hurley (Kelly’s dog) for a visit with his grandparents. 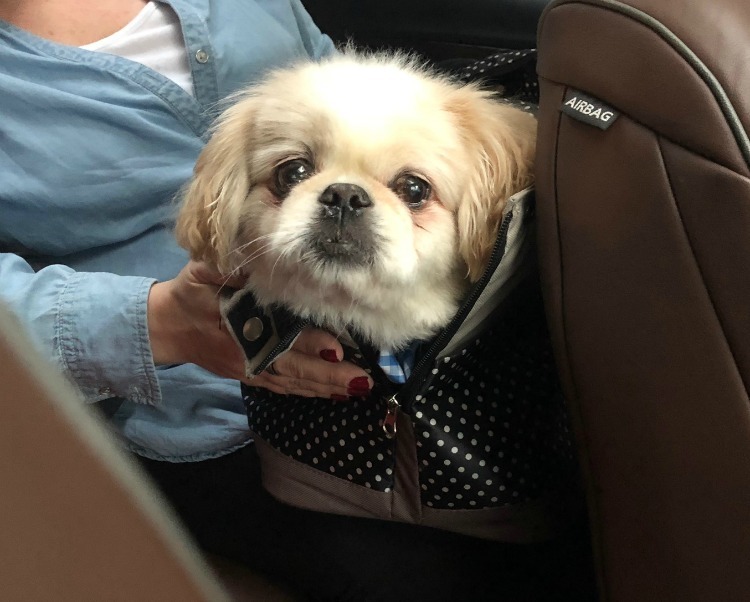 Hurley’s not always a fan of car rides. But he had no problem with the smooth ride in the Buick Enclave. Since we always have plenty to talk about, it was especially nice being in the Enclave with its Quiet Tuning feature which minimizes outside noise. Believe me, we make enough on our own! Another bonus was the air ionizer which provided high-quality air inside the vehicle. Why can’t we get that in the streets of New York City? Arriving at Gurney’s Yacht Club, we checked into our comfortable accommodations with garden and marina views. Our itinerary provided the ideal mix of relaxation and indulgence. 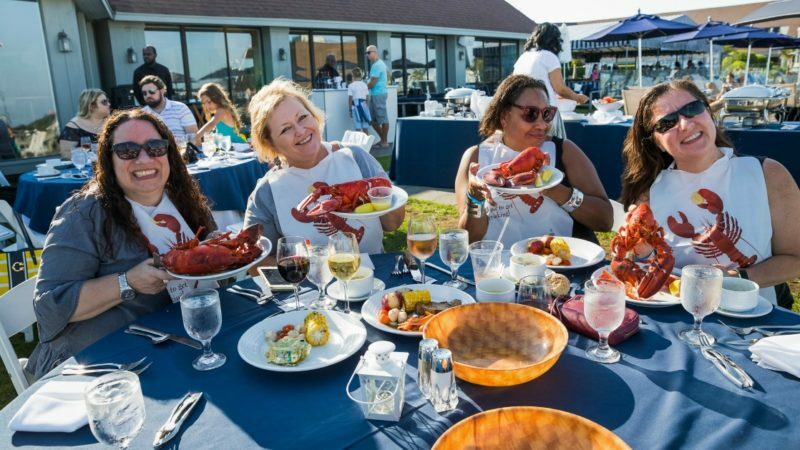 We embarked on a sunset cruise past the iconic Montauk Lighthouse, indulged at a lobster bake and even tasted fireside s’mores. When we were ready to explore more of the area, we drove out to Montauk Point State Park. Located on the eastern tip of the South Shore of Long Island, the park offers nature trails and stunning views of the Atlantic Ocean as it meets the Block Island Sound. We also stopped at the Montauk Point Lighthouse for a closer look. Authorized by the Second Congress under President George Washington, Montauk Point Lighthouse is the oldest lighthouse in New York. Exploring the charming local boutiques in downtown Montauk was also a highlight of our time in Montauk. 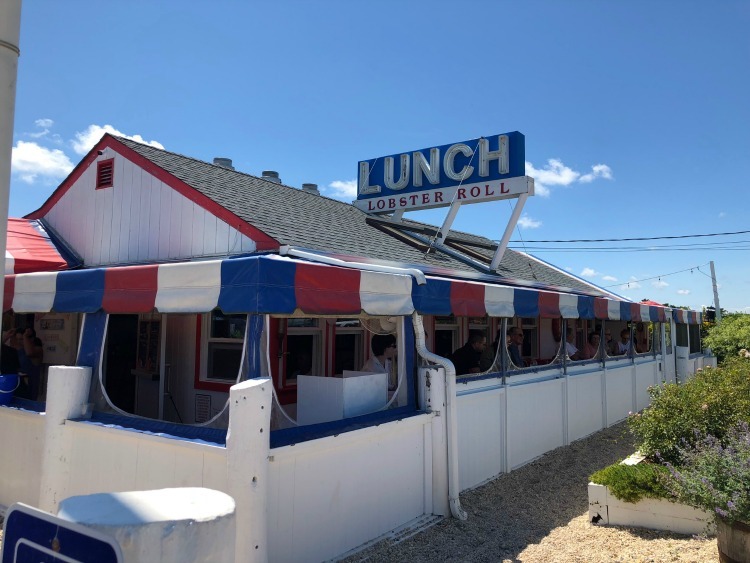 And if you’re visiting during the spring and summer season, a stop at the lobster roll restaurant known as LUNCH is a must. QuietTuning: Road-tripping is all about togetherness. The Enclave’s QuietTuning feature helps reduce noise entering the cabin, so the only noise we heard was from our animated conversations. Connectivity: When you put four New York City women in a vehicle for several hours, staying connected is crucial. This was easy in the Buick Enclave with 4G LTE Wi-Fi and Apple CarPlay/Android Auto. Everyone could keep up with e-mail on the ride while listening to our favorite tunes. Air Ionizer: Having fresh air and eliminating odors was a bonus for us. We don’t often get that in the city. Ample Cargo Space: The abundant cargo space would impress any family traveling with luggage, sports equipment, and bicycles. There are even 5,000 pounds of trailering capacity for boat owners. 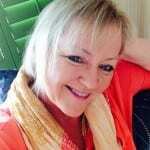 Safety Technology: Anyone who drives in New York will agree, safety features are paramount for worry-free travels. The Enclave includes the latest safety technology. Impressive Styling: The 2018 Buick Enclave presents a mid-sized luxury SUV option with an elegant design including three rows of luxury seating. Other Features: Should you start to venture outside of your lane, the lane departure warning will gently buzz your bottom. It was quite a surprise the first time…and entertaining. Also, there’s a warning to check your backseat before exiting the vehicle. Obviously, that’s a very important feature for families with young children. And, yes, I checked to make sure my friends got out the backseat…you never know. The 2018 Buick Enclave retails for $55,715. The model I drove with the full Avenir technology package and trailering equipment was $59,435.00. Gas mileage averages 25MPG on the highway and 17MPG in the city. If you’re in the market for a 7-passenger luxury family SUV the Buick Enclave offers an excellent suite of amenities. It’s comfortable, spacious and looks great on the road.